For some people, tooth decay and damage can be an unavoidable part of life. While many dental problems can be managed with restorative treatments, in some cases teeth can be so badly affected that they need extraction. If you have lost one or more teeth, then you are probably noticing a detrimental effect on your lifestyle. Tooth loss can severely compromise the function of your teeth, making it harder to bite or chew your food. Or perhaps, you find yourself trying to cover the gap by changing the way that you speak, or smiling with your mouth closed in photographs. Many patients who have lost a tooth find that they become less confident in their appearance, and this can have an impact on their self-esteem. Thankfully, it is no longer necessary to live with the effects of tooth loss. Dentures are a prosthetic replacement that can restore the function and appearance of your teeth. 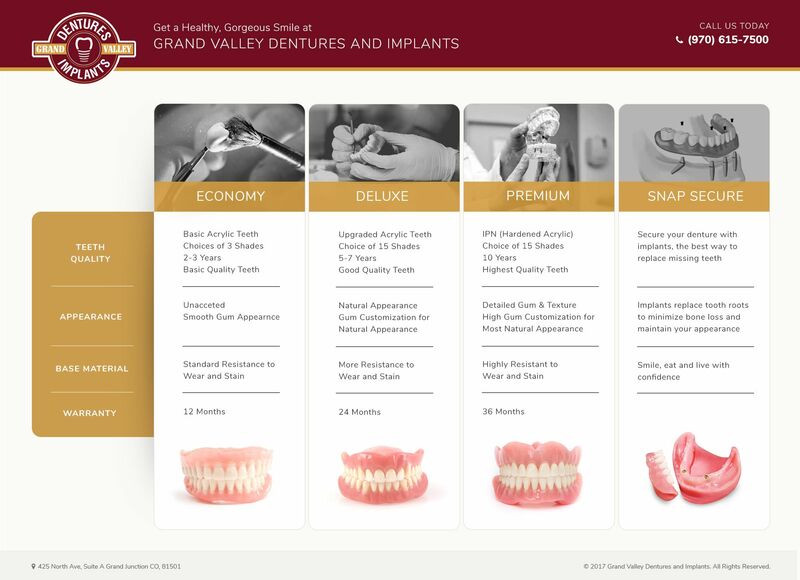 While dentures are considered a relatively conventional treatment, innovations in the field have led to the creation of multiple denture options. The type of denture that is right for you will depend primarily on the number of teeth that you are missing and their location. 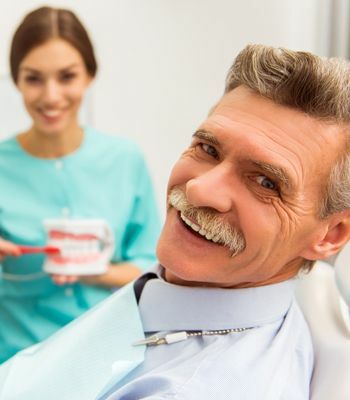 Dr. Motufau will be able to advise you which denture solution will be perfect to achieve the functional and cosmetic improvements that you seek during your comprehensive consultation appointment. 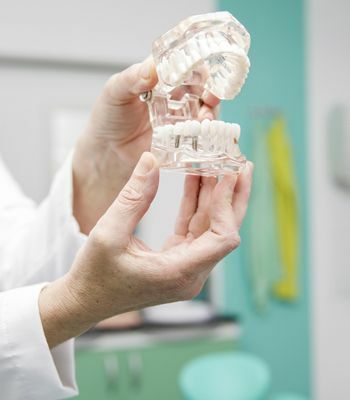 If you are missing a large portion of your teeth on either your upper or lower jaw, then Dr. Motufau may recommend that you consider a full set of dentures. Full dentures replace the entire arch of teeth on either the upper or lower jaw. 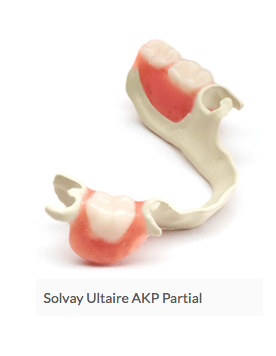 These dentures consist of prosthetic, color-matched teeth which are placed into a flesh-colored acrylic base. This base covers the gums, and in the case of upper dentures also the roof of the mouth, so that the denture is extremely discreet and the patient’s smile looks natural. To fit a full denture, Dr. Motufau will need to extract any remaining teeth in the arch, as well as measure the mouth and shape of the jawline. Often, the shape of the jaw changes once the remaining teeth are extracted, and so it may be necessary for Dr. Motufau to fit you with a temporary denture, until he can be certain that the dimensions of your jaw have settled and can be used to create a denture that fits with absolute precision. If you are only missing a handful of teeth, then partial dentures may be the perfect solution for you. They work by filling the gaps with color-coordinated prosthetic teeth, which are then attached to your natural ones. The method of attachment may vary depending on the location of your gaps, and can include discreet metal or acrylic clasps and cosmetically-enhanced crowns. Dr. Motufau will select the best method of attachment to ensure your new dentures are as secure and discreet as possible. Dentures are renowned for being an effective replacement for missing teeth. They restore their function and appearance, allowing the patient to enjoy eating, drinking and social occasions without needing to worry about their smile. 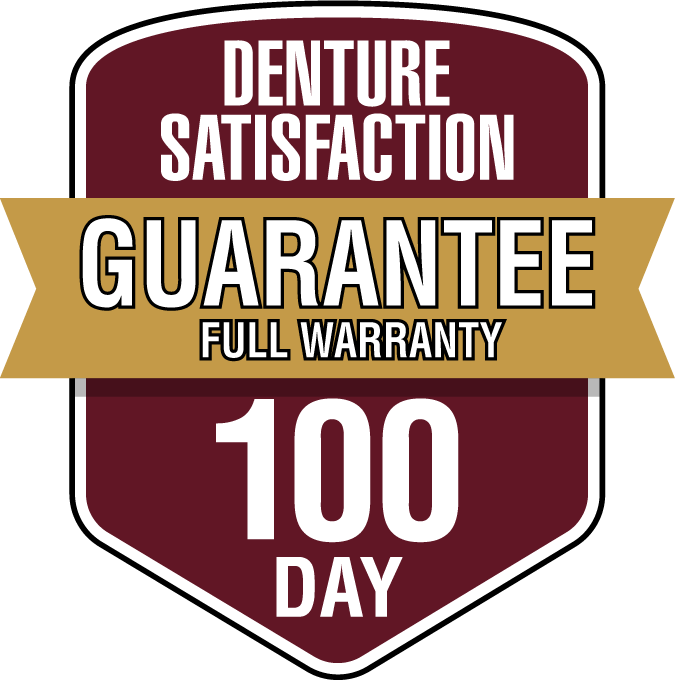 When given to older patients, dentures also have the added benefit of helping to add structure to the face and plump out the cheeks. 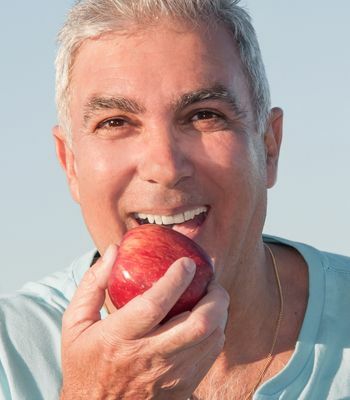 This helps to combat the natural loss of muscle in the face that causes it to sag, and instead, a denture-wearing patient can enjoy a more defined and youthful appearance.